Writing Excuses is funded in part by our patrons and sponsors over at Patreon. We’re grateful for their support, and especially grateful for the generosity of our top sponsors. 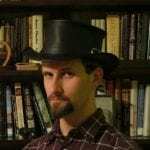 William C. Tracy is a North Carolina native and a lifelong fan of fantasy and science fiction. He loves listening to Writing Excuses and has attended WXR 2015, 2016, and 2017. He enthusiastically recommends these events for writers aspiring to a career in the field, or for anyone who wishes to improve their craft. 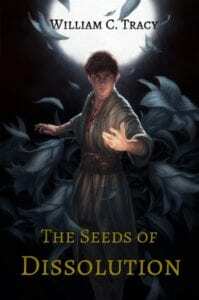 William is running a Kickstarter for his novel, The Seeds of Dissolution, in August/September 2017. The first two chapters are available to read here. The novellas Tuning the Symphony and Merchants and Maji are set in this same universe–a set of alien homeworlds connected by music-based magic instead of space flight. William has a master’s in mechanical engineering, designs and operates heavy construction machinery, and has trained in Wado-Ryu karate since 2003. He combines his love of engineering and martial arts in his writing to create magic systems influenced by science, and fight scenes with magically-assisted martial arts. You can bug him on Twitter, Facebook, or his website. Audible was the principal sponsor of Writing Excuses from Season 3 through the first half of Season 11. We’re deeply grateful for for the seven years of support they provided this podcast. We are listener-supported now, but we still send folks to Audible.com if they want to listen to good books.